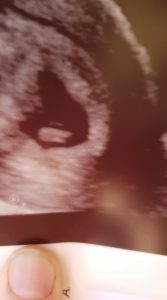 I have finally been for a scan, i am measuring at 7 weeks, the baby has got a strong heart beat and is in the right place. 37 year old lady. Sterilised with clips 7 years ago. 2 children previously. With the same partner but would like to have further children. Reversal performed July 2013. Patient very kindly let us know September 2013 6 weeks pregnant. Fantastic news.